Unlike any comparable country, Canada's universal public health care system effectively ends as soon as a patient is handed a prescription to fill. Millions of Canadians have no drug coverage at all and millions more have coverage that is inadequate to ensure access to medicines. Congratulations on becoming Canada's 23rd prime minister. We are health professionals and health policy researchers concerned, as you are, with the state of Canada's universal health care system. Soon, your government will be engaging Canada's premiers and ministers of health in discussions about a new health accord. We hope universal pharmacare will be at the top of your agenda for those discussions. Unlike any comparable country, Canada's universal public health care system effectively ends as soon as a patient is handed a prescription to fill. 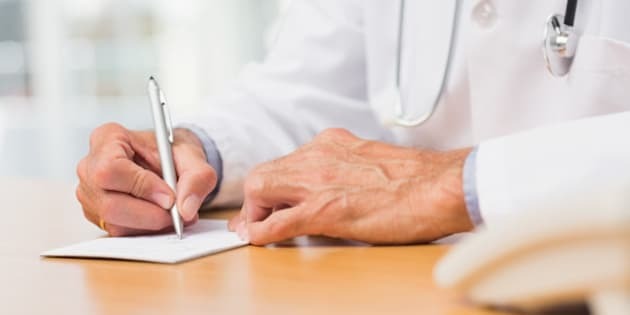 National standards for universal coverage of medically necessary prescription drugs would therefore satisfy a central goal of pharmaceutical policy: ensuring all Canadians have equitable access to necessary care. Instituting such standards would bring Canada up to par in the developed world. Guided by best available evidence, such coverage would also foster safer, more appropriate use of medicines - potentially making Canada a world leader in the quality of medicine use. Ensuring universal access to medically necessary prescription drugs is not only the ethical thing to do, it can also be the economically responsible thing to do. Research shows that a universal, public pharmacare system - one coordinated across provinces in ways similar to how federal, provincial, and territorial governments purchase vaccines and blood supply products - would achieve equity of access goals while saving Canadians between $4-billion and $11-billion per year. Canadians support public coverage for medicines of proven value-for-money in our health care system. A recent national survey by the Angus Reid Institute found that a vast majority of Canadians (87%) support adding prescription medicines to Canadian medicare. This support exists "across the board" in terms of regions, age groups, incomes, and education levels. Universal, public pharmacare is also supported by health professions, unions, policy experts, businesses, citizens groups, health charities, health executives, municipalities, and provincial governments. Pharmacare is the unfinished business of the Canadian healthcare system. Your government is in the fortunate position to expand medicare's public mandate to include prescription drugs, and ensure a sunnier future for all Canadians as a result. You can count on our support as you plan a course for doing so.